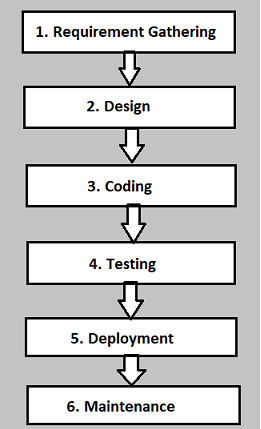 In last article we have seen about software development life cycle and understood its 3 level. In this article we will continue with the level 4, 5 & 6 of SDLC. Software testing is came in the 4th level of software development life cycle. As we have seen tester can be involved in first phase of software testing life cycle. This is very important point, as we are taking tester team members in the requirement gathering then most of discussion will be done in front of all the teammates so communication gap will not be there during the project development phase. Even needed improvements and suggestions can be noted down in the requirement gathering phase. As we know that after requirement gathering next phase is design and then coding phase came to the picture but testing phase can be started after the coding of the application was completed. Once a coding phase will be completed, testing team start working on the application as per the Software testing life cycle. In testing life cycle requirements have been gathered and it is divided within the team. As per the assignment, testing team will start work on the application or Project. First phase of software testing life cycle is requirement gathering then Test Plan document have been prepared by the team and submitted to the reporting person. As per the Test Plan, Testing Strategy will be discussed and test cases of the application will be prepared by the team. Afterwards all the environment set up will take place. As per the application or project’s requirements environment will be created and all the required hardware device will be distributed in the team. After the allocation of environment, testing team will start the execution of test cases and mark it as Passed or fail. All the fail test cases will be assign to the developer team again and by creating a bug in the bug tracking tool like JIRA, Mantis, BugZilla etc. All the fail test cases needs to be passed before giving the final release of the application. In this phase, all type of functional testing will be done by the testing team like integration testing, System Testing, Acceptance testing etc. Even Non Functional testing also performed by doing GUI testing and Load testing, Security testing, Reliability testing, Usability testing etc. 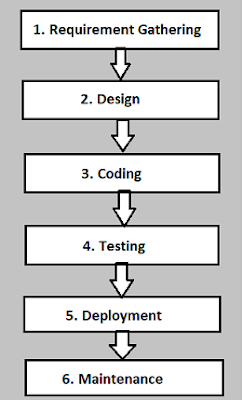 This is all about testing phase of software development life cycle. Now let’s move to the next level. If testing was successfully done in level 4 then and only then Deployment procedure will be taken place. If testing phase have some open issues which have High or Critical priority bug then deployment will not done on the day of dead line. As we know that error will be generated on the beta testing. If client will phase any critical issue on the beta testing then it would not the good impression of organization so before the day of the deployment, all the critical and high bug was resolved by the developer team and verified by the testing team. After this procedures only deployment have been done for the client and they will do the beta testing on their site. If they found any bug or improvement then client will directly contact to the team and as per the requirement of client all the improvement have been done by the team again and the same application will be deployed again. This is all about the deployment phase. Now let’s move to the last phase of software development life cycle. Maintenance is the process which can be followed after the actual use of the application. Once a customer will use the product, it may happen that some bugs can’t be caught in the testing phase or in beta testing phase but while in actual use it may be a problem for a customer then this kind of bugs needs to be solved on time to time. This is called maintenance of the application. Even we can say that as per the requirement development team have to update its requirements as per the client’s suggestions and customer’s demand on the application. This part also can be included in the maintenance phase. We need to take care of the product which is the actual meaning of the maintenance. This is all about the maintenance phase of software development life cycle.